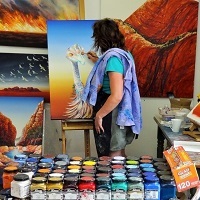 See a range of Linda’s quirky animal paintings and saw blade creations. 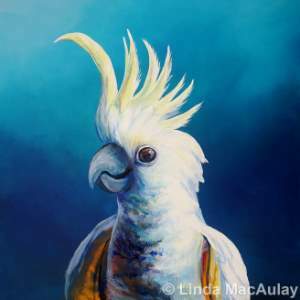 The gallery also stocks a range of Linda MacAulay greeting cards, small original artworks on paper and her usual quirky animal characters on canvas. Wednesday to Sunday (and Public Holidays) 10:00-4:00.